2009-04-08 First worldwide family litigation filed litigation Critical https://patents.darts-ip.com/?family=26936117&utm_source=google_patent&utm_medium=platform_link&utm_campaign=public_patent_search&patent=EP1328616(B2) "Global patent litigation dataset” by Darts-ip is licensed under a Creative Commons Attribution 4.0 International License. The present invention relates to structuring systems, specifically thread-like structuring systems and/or non-thread-like structuring systems (i.e., disk-like structuring systems wherein structuring agents aggregate together to form disk-like structures that can interact with other disk-like structures to result in a structuring system), and processes for making such structuring systems, stabilized liquid compositions comprising such structuring systems, systems that utilize such structuring systems for stabilizing liquid compositions, and methods for utilizing the stabilized liquid compositions to provide a benefit. Liquid compositions, especially heavy duty liquid compositions, more specifically aqueous heavy duty liquid compositions have traditionally been problematic to form and maintain because often times the materials desired to be incorporated into the liquid compositions have a tendency to separate from the aqueous phase and/or coalesce. Polymeric stabilizers to present flocculation in aqueous surfactant compositions are disclosed in EP-A-0623670 . U.S. Patent Nos. 5,340,390 and 6,043,300 disclose organic and/or non-aqueous liquid systems, such as paints, inks, that are stabilized by a castor-oil derivative. These references fail to teach that aqueous liquid compositions can be stabilized by a castor-oil derivative. U.S. Patent Nos. 6,080,708 ; 6,040,282 ; EP-A-0 887 071 and WO 99/384 89 disclose personal care and/or shampoo and/or cosmetic compositions that are stabilized by a stabilizer, such as a crystalline, hydroxyl-containing stabilizer. The present invention fulfills the need described above by providing structuring systems (i.e., thread-like structuring systems and/or non-thread-like structuring systems) that can stabilize liquid compositions, especially water-containing liquid compositions. more specifically water-containing detergent liquid compositions. Accordingly, the present invention includes structuring systems wherein the structuring systems can be incorporated into water-containing liquid compositions, for example water-containing laundry liquid compositions to stabilize ingredients within the liquid compositions. The present invention is directed to a water-containing liquid detergent composition according to claim 1.
from 0.1% to 10% of a fabric-substantive agent selected from silicones as in claim 1 having all of a cationically charged moiety, a silicon-containing moiety and a polyoxyalkylene moiety; said composition having a pH at 1 % in water of at least 7.5 is provided. These and other objects, features and advantages will be clear from the following detailed description, examples and appended claims. All percentages, ratios and proportions herein are on a weight basis based on a neat product unless otherwise indicated. The physical form of the structuring system depends upon the process for making the structuring system, especially the crystallization process. The crystallization process may be controlled to result in one or more specific physical forms, such as thread-like structures and/or non-thread-structures. "Thread-like Structuring System" (i.e., in the form of threads and/or fibers) as used herein means one or more agents that are capable of providing a chemical network that reduces the tendency of materials with which they are combined to coalesce and/or phase split. Examples of the one or more agents include crystalline, hydroxyl-containing stabilizing agents and/or hydrogenated jojoba. Surfactants are not included within the thread-like structuring system. Without wishing to be bound by theory, it is believed that the thread-like structuring system forms a fibrous or entangled threadlike network in-situ on cooling of the matrix. The thread-like structuring system has an average aspect ratio of from 1.5:1, preferably from at least 10:1, to 200:1. The thread-like structuring system can be made to have a viscosity of 2.000 cps or less at an intermediate shear range (5 s-1 to 50 s-1) which allows for the pouring of the detergent out of a standard bottle, while the low shear viscosity of the product at 0.1 s-1 is at least 2000 cps but more preferably greater than 20,000 cps. The thread-like structuring system of the present invention provides the liquid compositions of the present invention improved shelf and stress stability, but allow the liquid compositions to permit its benefit-providing agents to provide their benefits upon use. ''Non-thread-like Structuring System" (i.e., in the form of spheres, discs, and/or platelets) as used herein means one or more agents that are capable of providing a chemical network, especially when present in combination with a thread-like structuring system, that reduces the tendency of materials with which they are combined to coalesce and/or phase split. Examples of the one or more agents include crystalline, hydroxyl-containing stabilizing agents and/or hydrogenated jojoba. Surfactants are not included within the non-thread-like structuring system. Without wishing to be bound by theory, it is believed that the non-thread-like structuring system forms a network in-situ on cooling of the matrix. The non-thread-like structuring system has an average aspect ratio of from less than about 5:1, preferably less than 2:1 to 1:1. The non-thread-like structures in the non-thread-like structuring system typically have an average particle size of from 20 microns, preferably from 10 microns to about 1 micron. "System" as used herein means a complex unity formed of many often, but not always, diverse parts (i.e., materials, compositions, devices, appliances, procedures, methods, conditions, etc.) subject to a common plan or serving a common purpose. "Soluble" as used herein means that more than nine tenths of the formulated agent actually dissolves in the liquid composition. The process for making the thread-like structuring system used in the present invention comprises heating a mixture of water and the crystalline, hydroxyl-containing stabilizing agent to above the melting point of the crystalline, hydroxyl-containing stabilizing agent, and then cooling the mixture while mixing continuously to room temperature such that a thread-like structuring system is formed. The premix formed in Step 1) may further comprise an amine oxide. Further detail around this process of making the thread-like structuring system can be found in U.S. Patent No. 6,080,708 , which is owned by The Procter and Gamble Company. Non-thtead-like structuring systems may be made by the process described above for the thread-like structuring systems. The crystalline, hydroxyl-containing stabilizing agent typically is present in the liquid compositions of the present invention at a level of from 1% to 10%, more typically from 0.1% to 3%, most typically from 3% to 2% by weight of the liquid composition. wherein a= b = c = 5. Commercially available crystalline, hydroxyl-containing stabilizing agents include THIXCIN® from Rheox, Inc. The limited solubility agents that need to be stabilized within liquid compositions are agents that have a tendency to phase separate and/or coalesce in the liquid compositions. These are fabric substantive agents. The fabric substantive agents are quaternary-nitrogen containing silicones, such as TUBINGAL® commercially available from Th Goldshmidt, preferably polydimethyl siloxanes. The limited solubility agents are typically present in the liquid compositions of the present invention from 0.001% to 20%, more typically from 0.1% to 8%, most typically from 0.5% to 6% by weight of the liquid composition. The word "silicone" as used herein preferably refers to emulsified silicones, including those that are commercially available and those that are emulsified in the composition, unless otherwise described. Preferably, the silicones are neither irritating, toxic, nor otherwise harmful when applied to fabric or when they come in contact with human skin; are chemically stable under normal use and storage conditions; and are capable of being deposited on fabric. f denotes an integer of at least about 2. In the formulas herein, each definition is applied individually and averages are included. 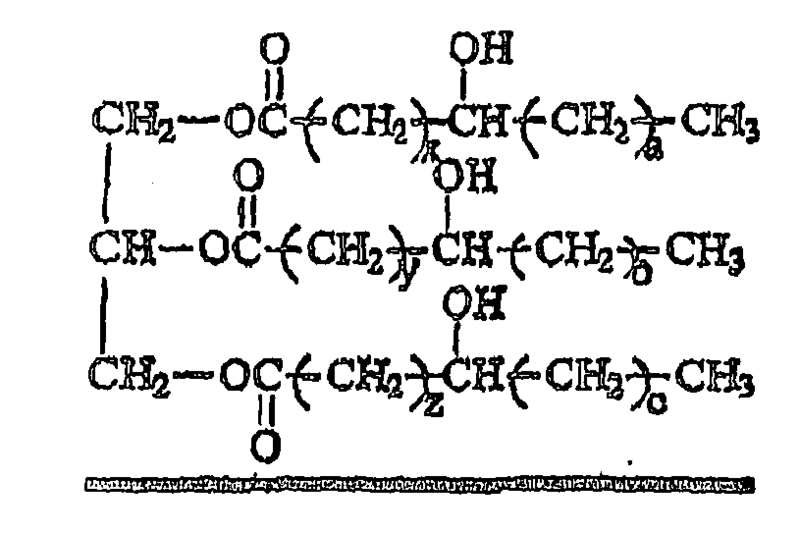 Alternatively, the silicone material can be provided as a moiety or a part of a oligosaccharide molecule. These materials provide a lubricity benefit in addition to the expected fabric care benefits. Other examples of dual function silicone materials useful in the present invention are adjunct shape retention copolymers having siloxane macromers grafted thereto. 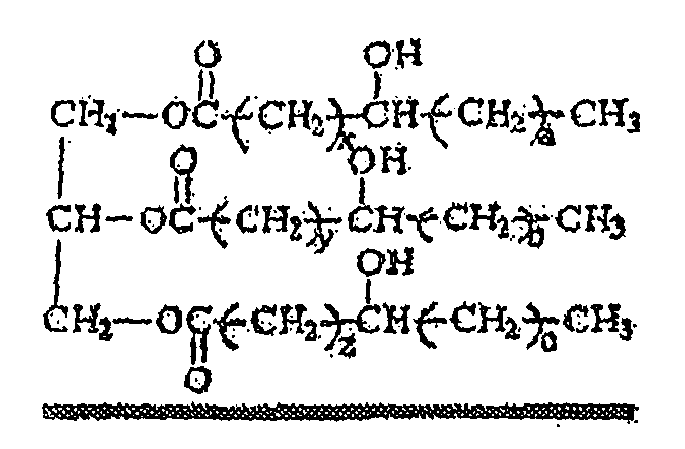 The non-silicone backbone of such polymers should have a molecular weight of from 5,000 to 1,000,000, and the polymer should have a glass transition temperature (Tg), i.e., the temperature at which the polymer changes from a brittle vitreous state to a plastic state, of greater than about -20°C. Adjunct fabric shape retention silicone-containing polymers useful in the present invention are described in more detailed herein below along with other adjunct shape retention polymers. Quaternized silicones are used. Cationic silicones of the present invention comprise one or more quaternary nitrogen moieties. Preferably one or more of the quaternary nitrogen moieties are present in the backbone of the cationic silicone polymer. The quaternary nitrogen moieties can be positioned within the backbone of the polymer as "end cap" and/or "integrated" quaternary nitrogen moieties. In one preferred embodiment, the cationic silicone polymer of the present invention comprises quaternary nitrogen moieties as end caps. In another preferred embodiment, the cationic silicone polymer of the present invention comprises only one end cap quaternary nitrogen moiety and one or more other integrated quaternary nitrogen moieties. In yet another preferred embodiment, the cationic silicone polymer comprises only integrated quaternary nitrogen moieties. A is a monovalent anion, in other words, a suitable counterion. A commercially available cationic silicone polymer is TUBINGAL 3474, which is commercially available from Th. Goldschmidt. wherein v is from 2 to 6. Alternatively, the ring opened epoxides may be derived from the following: epoxycyclohexyl alkylene groups; ω-(3,4-epoxycyclohexyl)-β-methylethylene and β-(3,4-epoxy-4-methylcyclohexyl)-β-methylethylene. Additional examples of suitable ring opened epoxides are described in EP 1 000 959 and WO 97/32917 . Nonlimiting examples of suitable aliphatic heterocyclic groups are described in Thomas L. Gilchrist's Heterocyclic Chemistry, 3rd Edition, 386, 1992, Longman. In the present invention, the liquid compositions of the present invention are not anhydrous, they typically contain up to a major portion of water. The liquid compositions of the present invention comprise from 5% to 80% by weight composition of water. The liquid compositions of the present invention preferably have a pH in 1% water of greater than about 7.2, more preferably greater than 8. The liquid compositions, when surfactants are present, preferably comprise surfactants that have a combined critical micelle concentration equilibrium surface tension value of less than (15 dynes/cm) 0.015 N/m. Highly preferred compositions herein, unlike shampoos, are low-foaming, either through the specific addition of a suds suppressor, e.g., silica, PDMS, PDMS/silica dispersions and/or or fatty acid, or through intrinsic selection of a low-foaming cleaning system. The liquid compositions of the present invention do not encompass shampoo and personal care compositions. Liquid compositions according to the present invention can also be in a "concentrated form", in such case, the liquid compositions according the present invention will contain a lower amount of water, compared to conventional liquid detergents. Typically the water content of the concentrated liquid composition is preferably less than 40%, more preferably less than 30%, most preferably less than 20% by weight of the liquid composition. Preferred non-surfactant adjuncts include, but are not limited to, builders, enzymes, enzyme stabilizing systems, chelants, dye transfer agents, dispersants, non-fabric substantive perfumes, filler salts; hydrotropes, photoactivators, perservatives, antioxidants, anti-shrinkage agents, anti-wrinkle agents, germicides, fungicides, silvercare, antitarnish and/or anti-corrosion agents, alkalinity sources, solubilizing agents, carriers, processing aids, pigments and pH control agents as described in U.S. Patent Nos. 5,705,464 , 5,710,115 , 5,698,504 , 5,695,679 , 5,686,014 and 5,646,101 , enzymes being a highly preferred non-surfactant adjunct, for incorporation, into the liquid compositions of the present invention. Liquid compositions of the present invention may further comprise one or more enzymes which provide cleaning performance benefits. Said enzymes include enzymes selected from cellulases, hemicellulases, peroxidases, proteases, gluco-amylases, amylases, lipases, cutinases, pectinases, xylanases, reductases, oxidases, phenoloxidases, lipoxygenases, ligninases, pullulanases, tannases, pentosanases, malanases, β-glucanases, arabinosidases, mannanases, xyloglucanases or mixtures thereof. A preferred combination is a liquid composition having a cocktail of conventional applicable enzymes like protease, amylase, lipase, cutinase, mannanases, xyloglucanases and/or cellulase. Enzymes when present in the compositions, at from about 0.0001% to about 5% of active enzyme by weight of the liquid composition. Commercially available proteases useful in the present invention are known as ESPERASE®, ALCALASE®, DURAZYM® SAVINASE®, EVERLASE® and KANNASE® all from Novo Nordisk A/S of Denmark, and as MAXATASE®, MAXACAL®, PROPERASE® and MAXAPEM® all from Genencor International (formerly Gist-Brocades of The Netherlands). Protease enzymes may be incorporated into the compositions in accordance with the present invention at a level of from about 0.0001 % to about 2% active enzyme by weight of the composition. Examples of commercial α-amylases products are Purafect Ox Am® from Genencor and Termamyl®, Ban® ,Fungamyl® and Duramyl®, all available from Novo Nordisk A/S Denmark. WO95/26397 describes other suitable amylases : α-amylases characterised by having a specific activity at least 25% higher than the specific activity of Termamyl® at a temperature range of 25°C to 55°C and at a pH value in the range of 8 to 10, measured by the Phadebas® α-amylase activity assay. Suitable are variants of the above enzymes, described in WO96/23873 (Novo Nordisk). Other amylolytic enzymes with improved properties with respect to the activity level and the combination of thermostability and a higher activity level are described in WO95/35382 . The compositions of the present invention may also comprise a mannanase enzyme. Preferably, the mannanase is selected from the group consisting of: three mannans-degrading enzymes : EC 3.2.1.25 : β-mannosidase, EC 3.2.1.78 : Endo-1,4-β-mannosidase, referred therein after as "mannanase" and EC 3.2.1.100 : 1,4-β-mannobiosidase and mixtures thereof. 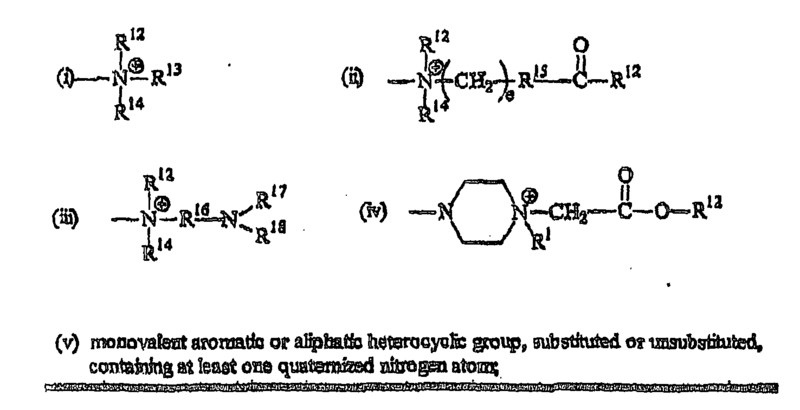 (IUPAC Classification- Enzyme nomenclature, 1992 ISBN 0-12-227165-3 Academic Press). More preferably, the compositions of the present invention, when a mannanase is present, comprise a β-1,4-Mannosidase (E.C. 3.2.1.78) referred to as Mannanase. The term "mannanase" or "galactomannanase" denotes a mannanase enzyme defined according to the art as officially being named mannan endo-1,4-beta-mannosidase and having the alternative names betamannanase and endo-1,4-mannanase and catalysing the reaction: random hydrolysis of 1,4-beta-D- mannosidic linkages in mannans, galactomannans, glucomannans, and galaatoglucomaanans. In particular, Mannanases (BC 3.2-1.78) constitute a group of polysaccharases which degrade mannans and denote enzymes which are capable of cleaving polyose chains contaning mannose units, i.e. are capable of cleaving glycosidic bonds in mannans, glucomannans, galactomannans and galactogluco-mannans. Mannans are polysaccharides having a backbone composed of β-1,4- linked mannose; glucomannans are polysaccharides having a backbone or more or less regularly alternating β-1,4 linked mannose and glucose; galactomannans and galactoglucomannans are mannans and glucomannans with α-1,6 linked galactose sidebranches. These compounds may be acetylated. The liquid compositions of the present invention may be used in any step of an in-home laundering/fabric care process, such as through the wash or through the rinse in a conventional laundering process for finished garments, pre-wash or Post-wash processes for finished garments, pre-wear or post-wear processes for finished garments. The following examples are illustrative of the present invention, but are not meant to limit or otherwise define its scope. All parts, percentages and ratios used herein are expressed as percent weight unless otherwise specified. Mix 1 is heated till 90°C prior to the addition of the Thixcin R. After Thixcin R has been added, the mixture is left at 90°C under agitation, until all Thixcin R has been emulsified. After full emulsification of the Thixcin R, the mixture is flash cooled to 70°C and left at this temperature just until all Thixcin R is recrystallized. At that point, the mixture is allowed to cool down slowly to ambient temperature. As a next step, mix 2 is added slowly to the premix 1 under slow agitation. c) a nonsurfactant adjunct suitable for laundry detergents wherein said adjunct is soluble in said liquid detergent composition. A composition according to Claim 1 wherein said composition comprises an effective amount of said crystalline, hydroxyl-containing stabilizer to suspend said fabric substantive agent within said composition. A composition according to any of the preceding claims wherein said crystalline, hydroxyl-containing stabilizer is derived from castor oil. A composition according to Claim 1 wherein x = y = z =10; or wherein a = b = c = 5. A composition according to any of the preceding claims wherein said composition comprises a heavy-duty liquid laundry detergent. MX2013009546A (en) 2011-02-17 2013-11-22 Procter & Gamble Bio-based linear alkylphenyl sulfonates. MX348123B (en) 2012-07-27 2017-05-26 Procter & Gamble Polysiloxane copolymers. MX2018000064A (en) 2015-06-30 2018-03-16 Procter & Gamble Composition comprising multiple populations of microcapsules comprising perfume. ES2080960T3 (en) 1990-09-07 1996-02-16 Procter & Gamble Removing agents for the improved granular laundry detergents dirt. ES2144649T3 (en) 1994-11-18 2000-06-16 Procter & Gamble Detergent compositions containing lipase and protease. BR9812452B1 (en) 1997-09-15 2008-11-18 composiÇço to provide detergent benefits of appearance and integrity of the fabric and textile washed in wash solutions. ES2355743T3 (en) 2011-03-30 Alkoxylated polyalkyleneimines cleaning compositions. ES2202342T3 (en) 2004-04-01 Detergents for automatic dishwashing comprising quaternary ammonium compounds as bleach activators and quaternary ammonium compounds.